Civil investigations are primarily concerned with investigating a dispute between individuals regarding their civil and legal rights. The purpose of the investigation is to gather the necessary evidence for a civil trial, in order to ensure that you obtain that to which you are legally entitled or disprove any false accusations against you. To guarantee success in your civil trial, it is recommended to seek assistance from a professional private investigator. 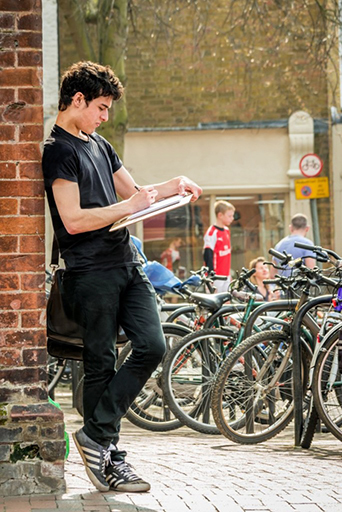 Your private detective is a highly skilled and experienced individual, with the ability to ensure that the investigation is conducted in a discreet yet entirely legal manner. Conducting the investigation yourself may save you time and funding, yet you will not be safe from potential repercussions in the long-term should anything go wrong. 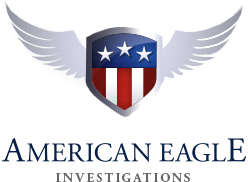 At American Eagle Investigations, protecting your citizen’s rights is of the utmost importance to us, and thus we perform a myriad of civil investigations to safeguard you, your family and/or your business from any form of unethical activity. With over 50 years of combined experience, our team of private investigators conduct covert investigations across the New York area, including Brooklyn, Queens, and the Bronx. Asset Investigations – With the increasing secrecy and distrust in the modern world, we can help you discover any hidden assets and/or funds of the individual with whom you are entering into a professional or personal relationship. Business Surveillance – With help from covert surveillance equipment, we can safeguard your business from any unethical or illegal activity. We can do so with absolutely no disruption to your daily duties and occupations. Espionage & Bug Sweeps – You never know that your office was digitally infiltrated by outsiders until your confidentiality has been compromised. We can prevent that from happening by discovering and eliminating hidden surveillance devices. Fraud – Regardless of the type of fraud you may want to investigate, one of our private detectives will utilize covert techniques to uncover the truth behind alleged misconduct and other fraudulent activities. Lie Detector Testing – When you are in the midst of a legal investigation, oftentimes the only way to obtain the truth is through a lie detector test. We can help you administer the test in an efficient and professional manner. Mystery Shopper – One of the most difficult things to prove is whether your customers or clients are treated properly by your employees. We can pose as a customer and investigate the unethical activity that you suspect. Missing Persons – The only thing worse than losing a loved one is losing them through an unexplained disappearance or abduction. We can discover what truly happened to the person and return them home quickly and safely. Personal Injury Investigations – Proving that you had been injured as a result of another person’s negligence can be very difficult. We can utilize all of the tools at our disposal to obtain the restitution that you deserve. VIP Protection – Through covert techniques and an ability to blend into the background, we can protect high-ranking executives or VIPs whose life is threatened in any way. Our highly varied defensive training enables us to do so. Workers’ Compensation – A workplace injury is never a pleasant experience for both employer and employee, yet it is even more so when the claim appears fraudulent. We can investigate the claim and prevent insurance fraud. To learn more about our civil investigations, please contact American Eagle Investigations for a FREE and confidential consultation at 212-344-8997. You can speak directly with our owner and NYC private detective Dan McBride.